Monster Energy, an official sponsor to Tech N9ne and Strange Music, has recently updated their artist section on Tech N9ne with exclusive media. Three brand new behind the scenes videos are now available for fans to view. 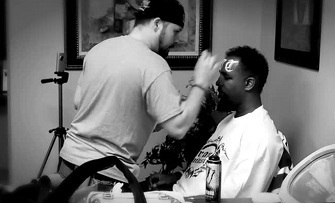 The videos feature Tech N9ne during rehearsals and even include a rare look at Tech N9ne’s facepaint ritual. In addition to the new videos, high quality photos have also been added. The photos offer fans a glimpse of Tech N9ne doing what he does best on stage. Fans who missed Tech on the Independent Grind Tour can now see exclusive photos taken during the live performances. Click here to check out all the new updates.